The Board of Governors is the most senior non-executive, corporate body, with ultimate responsibility for the strategy and the management of the organization. It works in conjunction with the management committee, composed of staff members who manage their respective divisions and chapters. Phil Strause has 40 years of management consulting experience focused on strategy and business planning, corporate governance, financial management and operations. He has in-depth expertise in the financial services industry working with commercial banks, investment banks, brokerage firms, insurance companies and other specialized financial institutions. He was a member of Deloitte's Financial Services Leadership Team from 1988 through his retirement in 2006. From 1993-1997, Mr. Strause led Deloitte's global financial management service line which included Value Based Management, Performance Measurement, Strategic Cost Management and Activity Based Costing, Cash Flow Productivity, Shared Services and Reengineering the Finance Function. From 1983-1992, Mr. Strause was Managing Director of Deloitte Consulting's San Francisco practice. In 2005 and 2006 Mr. Strause led the planning and implementation of Deloitte Consulting's Strategy and Operations Advisory Center in Hyderabad, India. He is a graduate of the Massachusetts Institute of Technology (BSEE, 1965) and the Harvard Business School (MBA, 1967). Sandeep Deobhakta is the Chief Operating Officer and Head of the Retail Banking Sub-Group for Shinsei Bank Ltd. Shinsei Bank is a leading diversified Japanese financial institution providing a full range of financial products and services to both institutional and individual customers. Shinsei Bank is also an award winning provider of Branch and Internet based retail financial services. Sandeep joined Shinsei Bank in 2003 as General Manager, and has been in his current post since mid 2008 as the Head of the Retail Banking Sub-Group. He took a 12 month sabbatical from Shinsei Bank and did a regional stint in the Middle East as the Head of Premier, Emerging Markets for Barclays Bank, focused primarily on Asia, Africa and the Middle East during 2007-2008. Prior to Shinsei Bank, Sandeep was Vice President at ABN AMRO Bank and Head of Preferred Banking for Hong Kong from 2001-2003. Before ABN AMRO Bank, Sandeep spent 11 years with Citibank(Global Consumer Banking in India and Indonesia). Sandeep is a Sloan Fellow (SF07) and has an MBA from the Massachusetts Institute of Technology, Sloan School of Management. He also holds a post graduate marketing specialization from the Symbiosis Institute of Business Management in India. 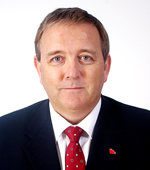 Peter Wilkes joined the International Bank of Qatar the retail banking presence of IBQ in Qatar. Prior to this, Peter was Deputy General Manager for the Consumer Banking Group of the National Bank of Kuwait (NBK) for over four years. Before joining NBK, Peter was Regional Marketing Director, EMEA for Citibank in London where he spent eight years. During that time Peter led marketing, distribution and sales for the consumer banking business across the EMEA region. Peter has managed many of the world’s leading brands while FMCG Regional Marketing Director at Kraft General Food and Cadbury /Jeyes Group. His early career was in marketing and sales for Smith Klein Beecham and Boots Healthcare. He is a graduate of Strathclyde University and Marketing Postgraduate of the Scottish Business School. Mr. Al Rahma is the Managing Director of the Al Fardan Group - a renowned family business in the Gulf region active in the FOREX & Remittance business, in luxury goods and in real estate development. Under Mr. AL Rhama’s guidance the Al Fardan group has become one of the leading forex houses in the region - including 20 branches in UAE, 100 correspondent banks around the world, and a multi-billion US$ turnover every year. 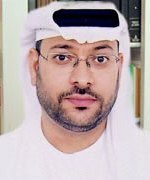 Mr. Al Rhama is a Vice President of Dubai Quality Group, a non-profit business organization set up by Dubai Department of Economic Development, and he is also the Chairman of the Banking and Finance subgroup commissioned to enhance the excellence, quality and standards of the local financial sector. Mr. Al Rahma earned his Postgraduate Degree in Management Studies University of Hull in the UK and a Graduate Degree in Electronics Engineering from University of Bahrain . He is also an Alumnus of J.F. Kennedy School of Government of Harvard University; and a Member of the Innovation Team of Alumni of Harvard for UAE Government. Peter is currently the Head of Customer Knowledge and CRM for the Asia Pacific marketing team in HSBC. His focus is to use data and customer insight to ensure sales and service opportunities are met, measured and exceeded and the knowledge gained from this is reused and exploited. Prior to this, he was Head of Business Solutions in Personal Financial Services for HSBC in Hong Kong looking at innovation and technology to drive customer experience change and create new business opportunities. From 2002-2007 Peter managed the development and deliver of Internet banking and Self Service delivery in Hong Kong and Asia Pacific which was instrumental in transaction migration, sales transformation and developing new revenue streams for HSBC. He also lead the deployment of Two Factor Authentication across Asia for Personal Financial Services. During 2006-2008 Peter was also a member of the NCR Global Self Service Advisory. The Board of Governors is the most senior non-executive corporate body, with ultimate responsibility for approving or signing off the strategy and the management of the non-profit association that governs membership related matters. It works in conjunction with the management committee who manage their respective divisions or competencies. The objective is primarily to ensure the appropriate and positive governance of the global association. The Board of Governors meets to ratify the ey decisions in respect to membership services and development. They attend regular conference calls for updates and input into member services related issues. From time to time governors may be asked to contribute to discussions regarding member benefits or to make comments to the press on the project management sector on behalf of the membership.